Defence Projects — McNeal & Associates Consultants Ltd.
McNeal & Associates developed the Asia Pacific Regional Security & Its Affects on Defense Aerospace Markets in support of its strategies and initiatives for TOTAL Avionics & Components Maintenance, Repair, and Overhaul (MRO) Lifecycle Support. This was commissioned by a major commercial and defence avionics contractor. This report is an assessment of recent US policy and whitepaper, US Dept. of Defense aviation and aerospace transformation, modernization, and recapitalization programs, and US Dept. of Defense (Air Force & Navy) budget initiatives, as well as an assessment and forecast of subsequent regional emerging marketplace opportunities. Primary deliverables included, but were not limited to Overall Regional MRO Trends, Analysis & Forecast of Regional Aviation Products & Services MRO Trends, Regional Market Assessment of Primary Competitors, Regional Emerging Opportunities & Timing & Including In-Service Support for Military and Paramilitary Fleets, and Recommendations for Potential Strategic Partnerships to Position for Capture of Opportunities. General MRO , Region & Activity, Flying Hours, Overseas Contingency Operations, Operations & Maintenance, and Depot Maintenance & Aircraft. Operational/Assured Access (Anytime, Anywhere) A4 Strategies, The AirSea Battle Concept, Networked, Integrated, Attack-in-Depth to Disrupt, Destroy, and Defeat (NIA/D3) Capabilities, and Etc. US Defense Budgetary Issues & Projections. McNeal & Associates developed the UAV & SATCOM Defense Market Analysis & Forecast Report in support of its overall Flight Data Management Market Feasibility & Forecast Report. This was commissioned by a major commercial and defence avionics contractor. This report is an assessment and forecast of the UAV & SATCOM Market. The US Dept. of Defense and its worldwide partners are investing heavily into C4ISR to modernize and expand its force projection capabilities. As a result, the UAV market has experienced significant growth and it is forecast to increase further still into the coming decade. SATCOM is an integral element to this system and thus, a report of the current UAVs equipped with SATCOM was conducted. As assessment of the client's SATCOM product offering and its immediate competitions' SATCOM product offering, as well as a brief UAV industry assessment was conducted as a means of illustrating the current SATCOM market. Primary deliverables included, but were not limited to SATCOM Equipped UAVs, Client's SATCOM Product Offering, Competitions' SATCOM Product Offering, UAV & SATCOM Cost Assessment & Investment Priorities. Data-link: LOS, LOS (C2) (Video), Link 16, Boeing, Etc. Frequency: Ka-Band, Ku-Band (Inmarsat), C-Band, Tactical Common Datalink (TCDL), SATCOM, UHF, X-Band CDL, Freewave HF, Iridium SATCOM, Etc. US Defense Procurement Assessment, Overall Market Assessment, Investment Projections, and Investment Priorities. This was a joint venture with Voyageur Airways and the McNeal & Associates feasibility report took about 4 months to complete. Due to the Obama Administrations recent ‘Pivot to Asia Pacific’, the United States Naval Base at Subic Bay reopened in 2012 after a decade long hiatus. Subic Bay, Philippines has been home to the USN’s 7th fleet, inclusive of deep-water aircraft carriers and their accompanying battle groups, as well as other USN vessels. At Cubi Point over 400 fixed and rotary-wing aircraft are based here with a runway of 9,000ft in length. The facilities included several hangars, seaplane ramps, several specialized maintenance shops, storage areas, and operational facilities. The grounds also include two 18 hole golf courses, large hospital, housing, and gardens. For this project, a real estate corporation retained McNeal & Associates to assess the commercial redevelopment potential of the former USN port and airbase. In particular, the US Naval Air Station at Cubi Point facilities were examined as to their potential for commercial aviation tenants and the costs to redevelop certain hangars and facilities. The local pool of Pilipino workers was examined, along with the training requirements to convert from military to civil support. A Freeport Zone was established and Federal Express became a major tenant basing their aircraft at Subic Bay for operations into China and Southeast Asian. A large hangar and sorting centre was built. Potential Commercial Aviation Tenants, Feasibility & Cost Analysis, and Hangar & Maintenance Facilities Retrofit/Reconstruction. McNeal & Associates was commissioned by Canada's Department of National Defence. Approximately $25 million CAD was spent on the design and construction and McNeal & Associates was retained for the preliminary planning of the facilities, including location alternatives, hangar design, fuel storage, and operational requirements. The assignment duration was approximately 6 months. Rankin Inlet, Nunavut was one of three airports (Yellowknife and Inuvik) selected by the DND for a 'Forward Operating Location' base for temporary NORAD jet fighter operations when required. RCAF CF-18s and USAF F-15s were the design aircraft. Wardrop Engineering Inc. of Winnipeg led a consortium of consultants in the design and planning of the facilities. This included runway expansion, runway lighting, arrestor gear, and a taxiway to the FOL hangar (6-bay), operations centre, internal roads and vehicle parking and aircraft fuel storage. The FOL was completed and used as a NORAD facility. Location Alternatives, Airfield Infrastructure, Air Navigation Facilities, Air Terminal Building, Access Roads & Parking, Hangar Design (Safety & Readiness), Runway Arrestor Barrier, Fuel Storage (Protected & Safety Precautions), Electrical & Communications Buildings, Utilities & Service Buildings, Aircraft Services, Emergency Response, Airport Maintenance, Operational Requirements, and Resident Housing. McNeal & Associates developed the RDR-1400 /1500 Retrofit Feasibility Report in partnership with the Griffin Corporation. This was commissioned by a major commercial and defence avionics contractor. Primary deliverables included, but were not limited to an assessment of the overall airborne radar market both existing and projected units and the RDR 1400/1500 positions within this market. 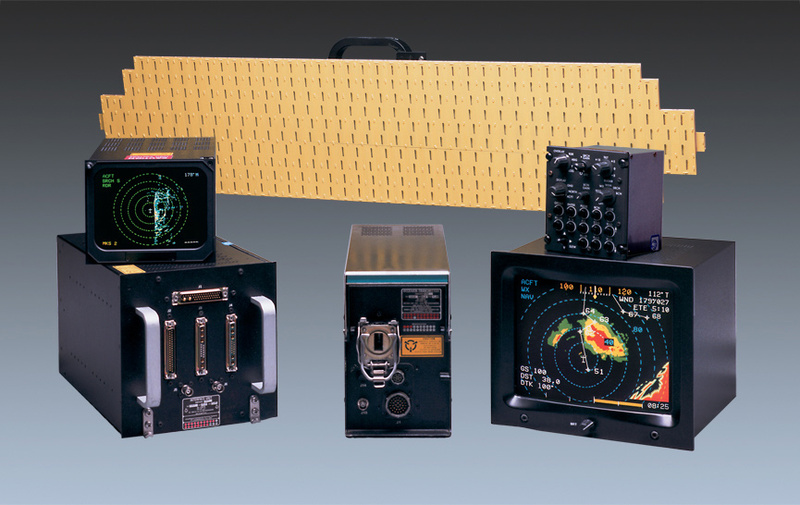 Competing radar products were identified, particularly the Honeywell Primus 500. Specific customers were also identified by fixed and non-fixed wing platforms. The process to replace the original screens with LCDs was assessed (RDR 1400/1500 chassis was not altered). Revenue scenarios were developed for market penetration by aircraft platform, as well as the costs to design and develop the retrofit kits. Major third party firms were identified that could install the kits. A draft joint-venture partnership agreement framework between the Client and Telephonics was also developed. The feasibility report was presented to both companies. The feasibility study required approximately 3 months. DR 1400 / 1500 Market Presence & Forecast and Competition Analysis (Honeywell Primus). Revenue Scenarios per Platform, Retrofit-Kit Design & Development Cost Assessment, and Joint Venture Partnership Services. In 2002, Airod Sdn. Bhd. (Airod) retained McNeal & Associates to enhance its MRO marketing capabilities for commercial air carriers in Southeast Asia, as well as to develop and broaden their authorized repair center capabilities as a Lockheed Martin Hercules C-130 MRO service provider. Primary deliverables included, but were not limited to a region-wide MRO market study and forecast leading onto feasibility analyses for MRO facilities development. Conceptual designs were developed in tandem with the Airod engineering department. Commercial partners, such as Lockheed Aircraft Systems International (Lockheed Martin) and SPAR Aerospace (McDonald Dettwiler), were introduced and subsequent joint ventures initiated. Lockheed Martin remains a licensed and approval Airod supplier. Airod is now a subsidiary of the National Aerospace & Defence Industries Bhd. (NADI). McNeal and Associates consulting services were used over a multi-year assignment. The total value of the development was approximately $50.0 million USD. Lockheed Aircraft Systems International (Lockheed Martin) and SPAR Aerospace (McDonald Dettwiler). McNeal & Associates was commissioned by the Government of Canada, Atlantic Opportunities Canada Agency for the redevelopment of military facilities and infrastructure for commercial and civilian use, including hangars, housing, and private enterprise and academic facilities. This was a $50 million initiative and our contract spanned approximately 1 year. McNeal & Associates was a full member of the consortium, inclusive of Bombardier Aerospace, Bombardier Amphibious Division, Sikorsky Aircraft, and Field Aviation, in assembling the input and data required from each firm. Primary deliverables included, but were not limited to a proposal of two DHC-8-300 aircraft outfitted with technically advanced radar detection equipment, video and infrared cameras integrated with GPS to provide accurate location, as well as aerial recording evidence for long range patrols. Direct communications to the operations centre was proposed as well as other aircraft in the coastal fleet and defence and coast guard facilities. Two amphibian CL-415s were proposed to provide close-in surveillance and the ability to land on water for vessel inspections. Six Sikorsky S-76 helicopters were included in the proposal for shorter range, over the shoreline, patrols. Three bases were proposed with the operations centered at Kuala Lumpur and logistic hubs in Kuching, Sarawak and Kota Kinabalu, Sabah. Hangars were to be built at all the bases with heavy maintenance located in Kuala Lumpur. Training of Malaysian personnel was included in the proposal. The financial aspects of the proposal presented alternatives depending on the hours flown each year. The assignment was 6 months in duration. The total cost of the initiative was over $1.0 million USD. 2 x DHC-8-300, Advanced Radar Detection Equipment, Video & Infrared Cameras Integrated with GPS, Aerial Recording, 2 x CL-415, and 6 v Sikorsky S-76. Kuala Lumpur (Operations), Kuching (Logistics), Sarawak (Logistics), and Kota Kinabalu (Logistics). Kuala Lumpur (Heavy Maintenance), Kuching, Sarawak, and Kota Kinabalu.